All carbonate materials, including those used in building and construction, are sensitive to acid deposition. A common example of this is the reaction that occurs when you combine bicarbonate of soda and vinegar. 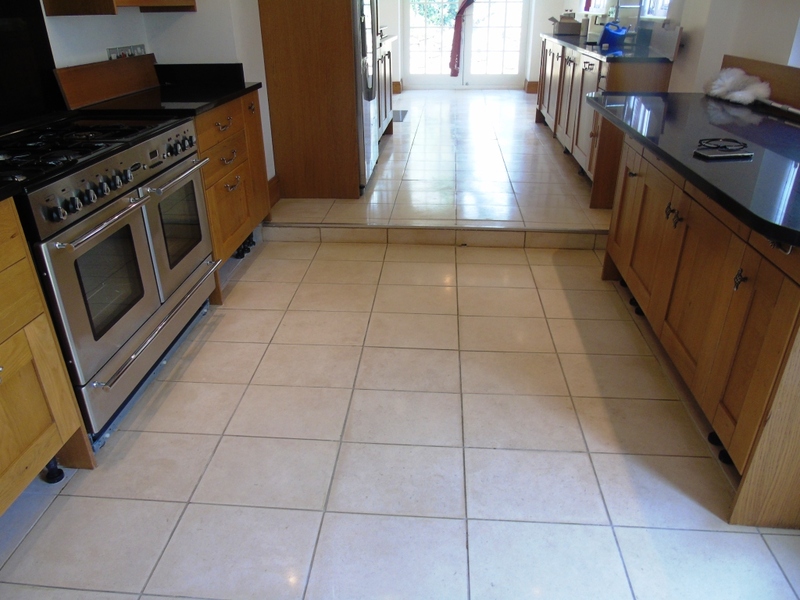 Another example of a material affected by this is Limestone, which is often used as tiled flooring. 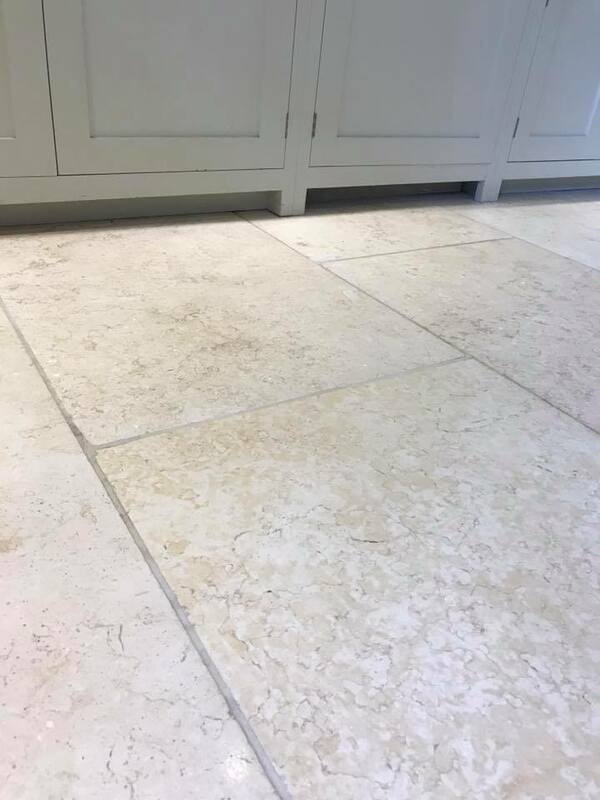 When exposed to acidic products, the damage caused to Limestone tiles is both material and aesthetic, and many property owners who suffer this kind of damage assume that they are beyond repair. 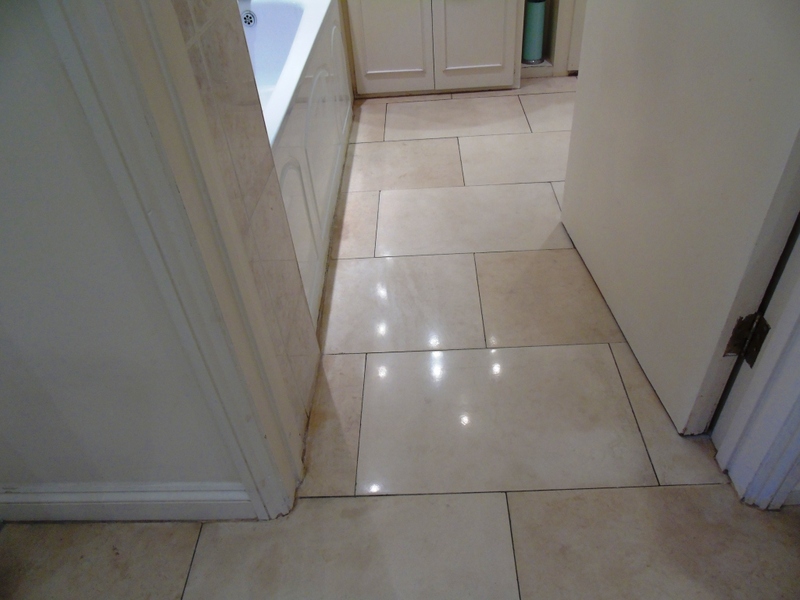 I was recently called to a property in Wapping, Central London, to take a look at a damaged Limestone tiled floor situated in a wet room. 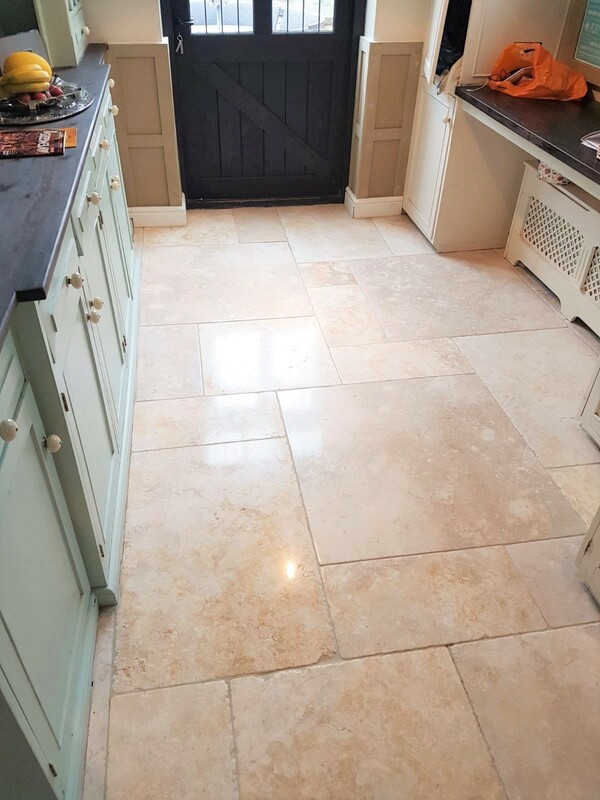 The surface of the stone had suffered heavily from corrosion due to the spillage of an acidic solution and the property owner was keen to see what could be done to restore the condition of the tiles. 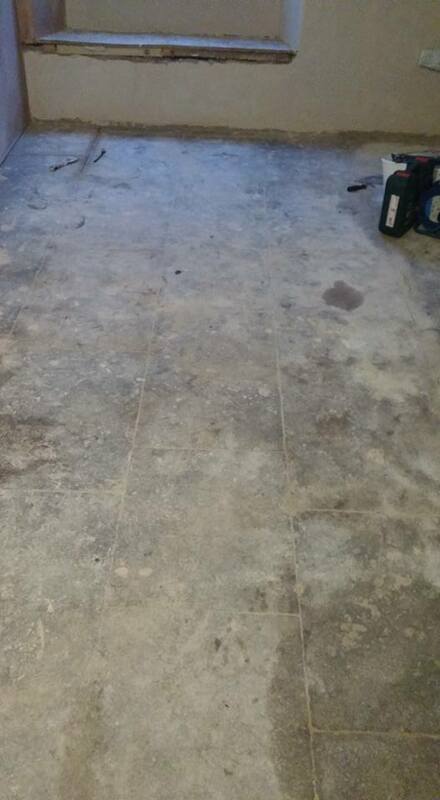 He had been told by another company that the floor was beyond repair, but I knew that with the right products and techniques that I could provide a full restoration. 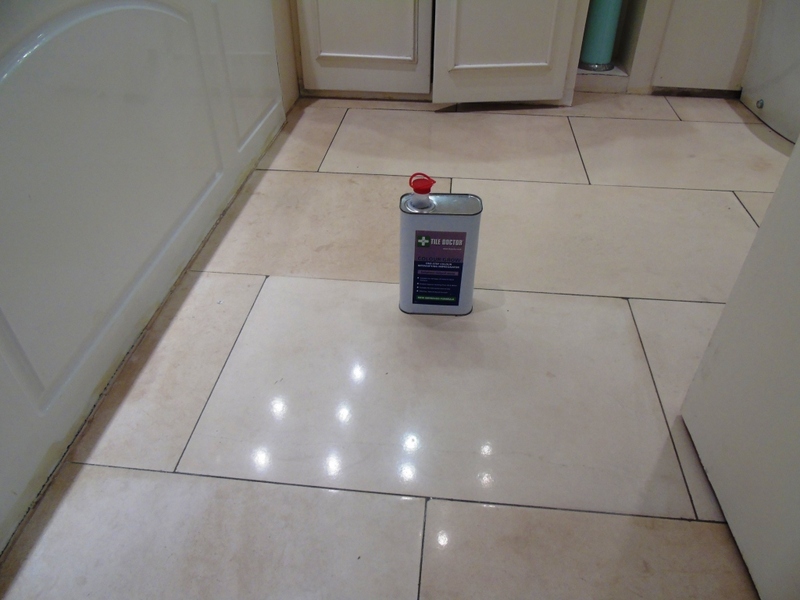 My first attempt at reducing the acid stain was to apply Tile Doctor Reduxa, which is formulated to remove or significantly lighten stains caused by acidic beverages such as cola and white wine, as well as acid-based household cleaners. 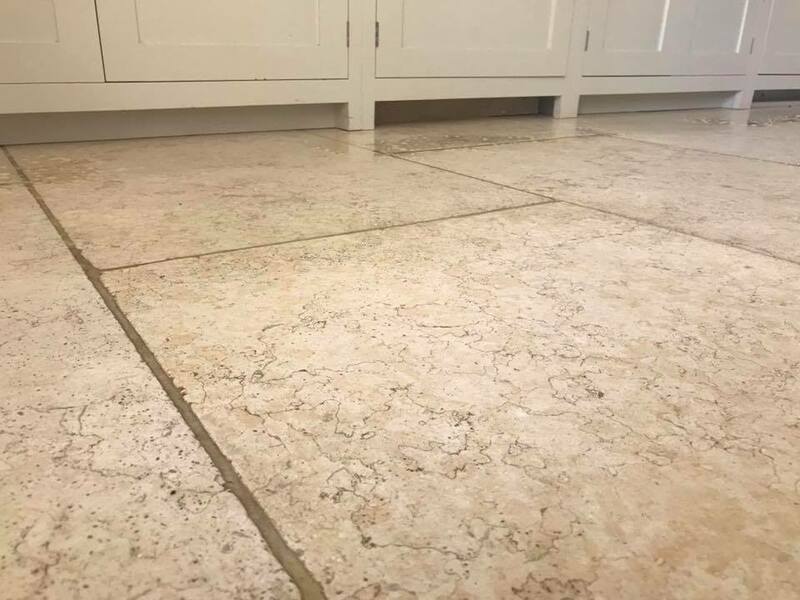 I followed this by rinsing the tiles with water rinse and applying Tile Doctor Pro Clean solution, a high alkaline product that would neutralise the acid and stop it from causing any further damage. 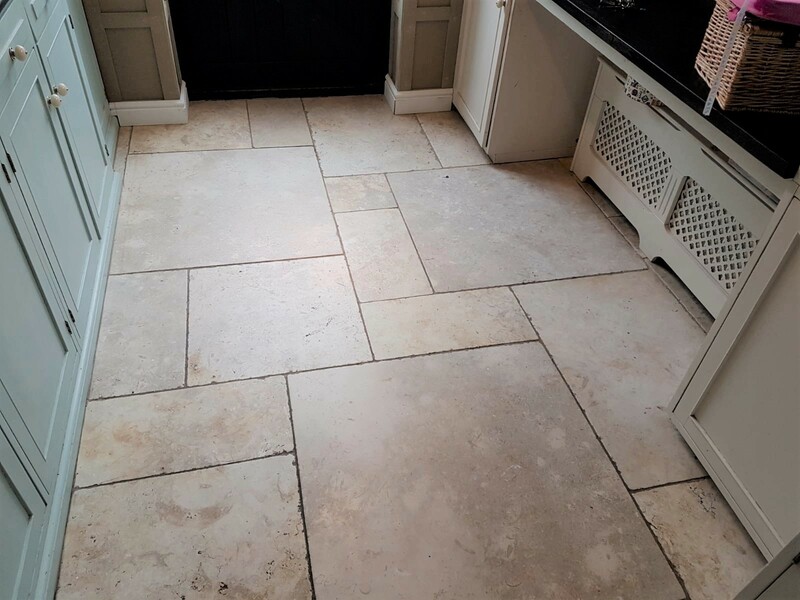 After leaving the Pro Clean to dwell on the Limestone for ten minutes, I used a handheld rotary buffer fitted with a small black scrubbing pad to remove any dirt, soap scum, and excess old sealer from the tiles and grout lines. 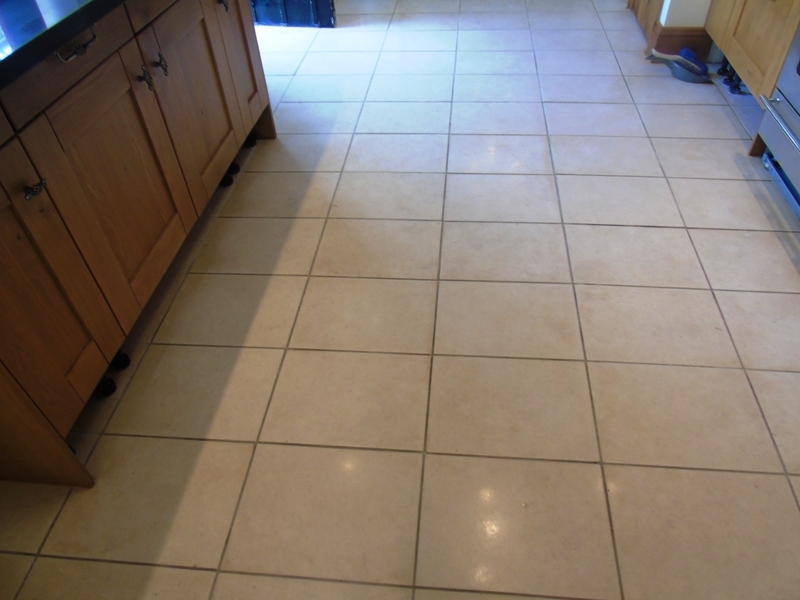 Next, the floor was carefully rinsed with water to make sure no chemical residue remained from the cleaning products. 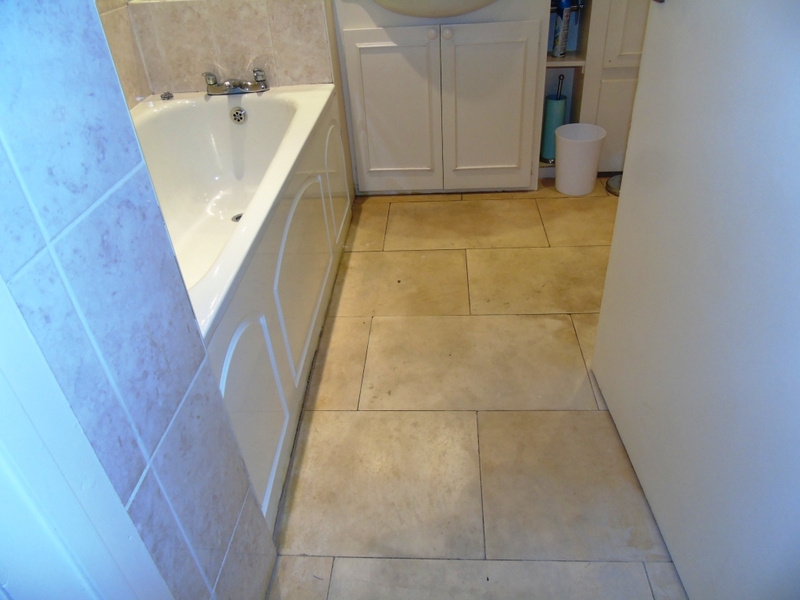 Although the situation was significantly improved, the stain remained visible, so the next step was to re-surface the tile using a set of diamond encrusted burnishing pads of different grades. 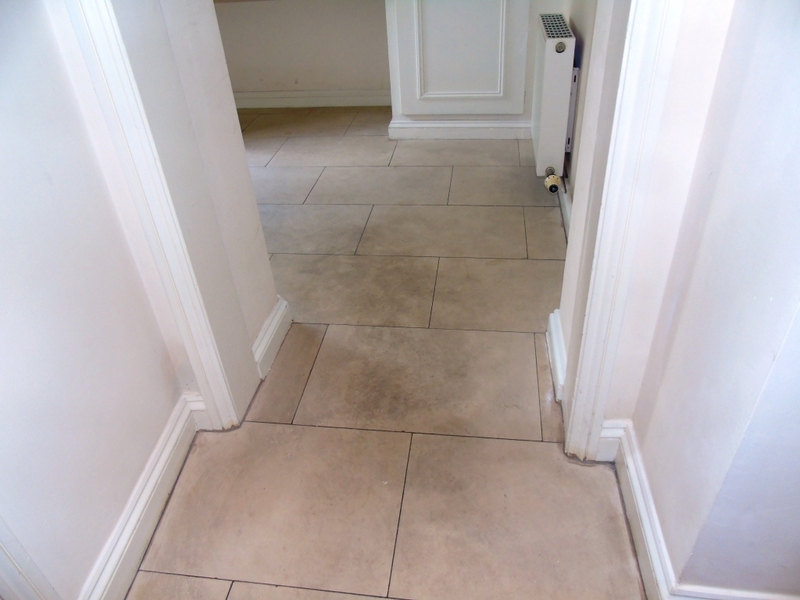 I started with a Coarse grit diamond encrusted pad to grind away the damage layer of stone, and followed this by applying Medium, Fine and Very Fine pads to slowly hone and polish the floor, back to its original condition. 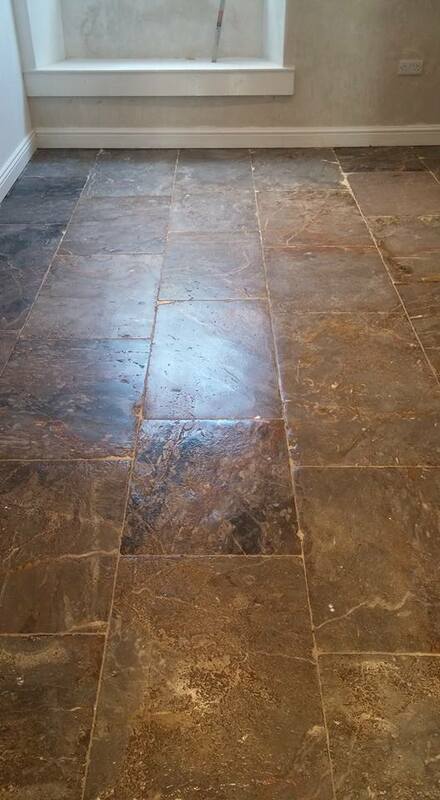 I left the tiles to dry completely overnight before returning to the property the next day. 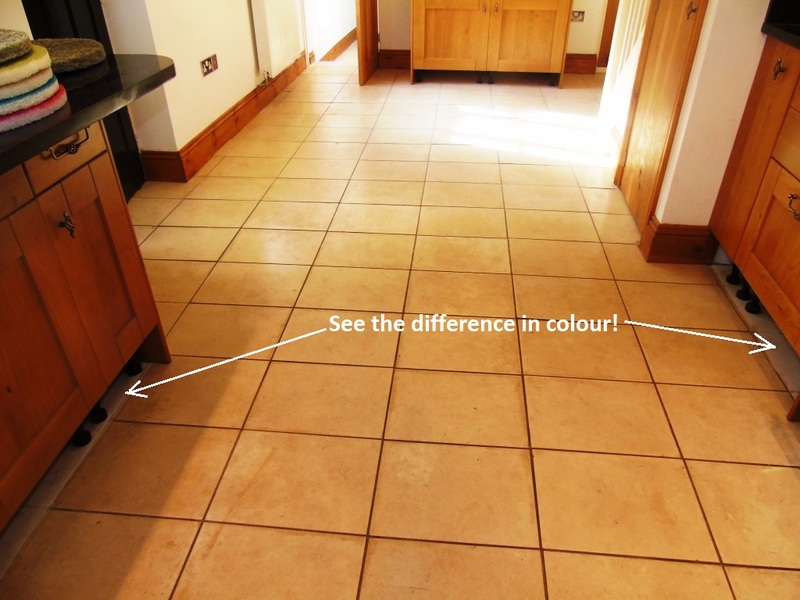 With the acid stain removed, it was time to re-seal the floor using Tile Doctor Colour Grow, a colour- enhancing, impregnating sealer that is particularly effective at boosting the appearance of Limestone. 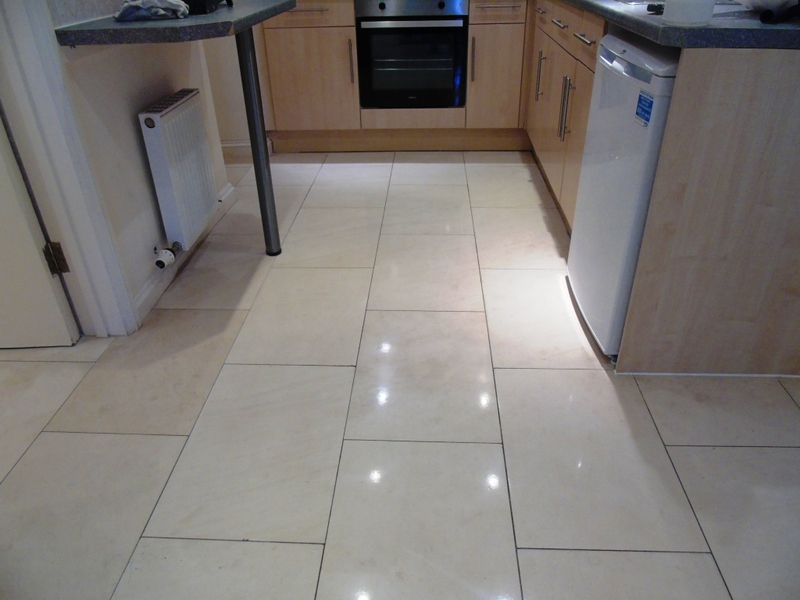 The result was very satisfying for both myself and the customer. 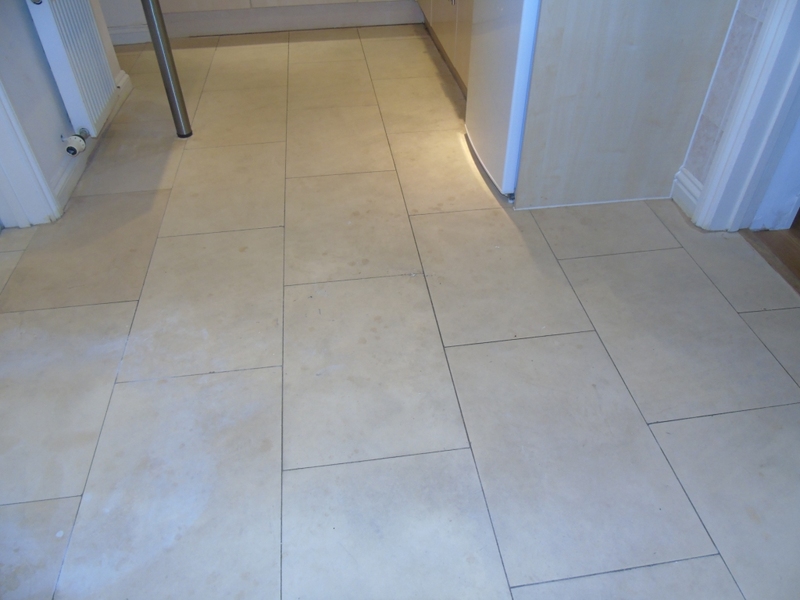 In fact, the customer even when so far as to leave the following feedback on the Tile Doctor Feedback System.